Ambiente Blog • It’s a blooming miracle. Just pretty ornaments? On the contrary! Vases are now self-evident, design statements on their own, inspiring out-there flower arrangements – from the avant-garde to the romantic. One thing is clear: floristry has never been more varied or creative. Artichokes can be found flowering freely. People are also experimenting with giant blooms, or pairing delicate grasses with natural meadow flowers, or even tying luxuriant bouquets in which flowers seem to dance. This calls for something more than your average, multi-purpose glass vase. They need statement vases, in all shapes and sizes, either to support the flower or interior decorations in their own right. Ceramic vases reflect the wider tabletop trends: You can find not only rustic earthenware that proudly displays traces of its handcrafted origins, but also clean graphic lines and patterns. 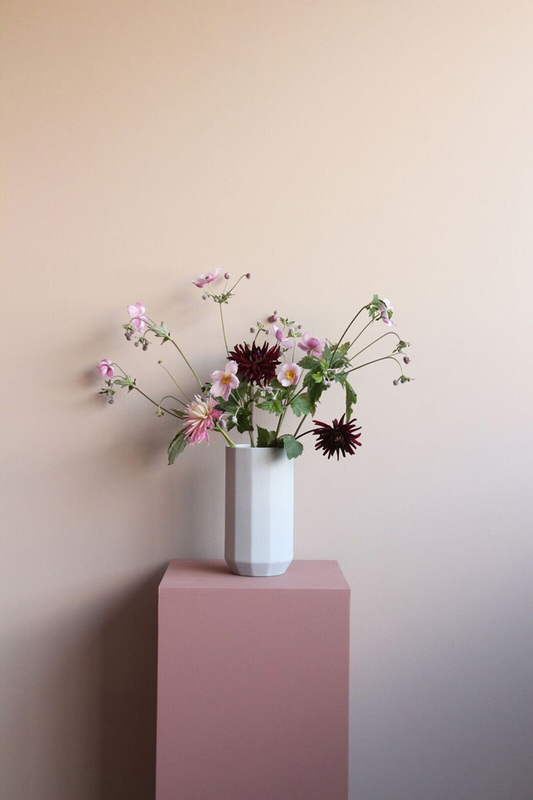 The lovely shapes of these vases will entice everyone to arrange wild-flower bouquets, twigs or individual blooms: bulbous vases with narrow necks don’t need a showy bouquet – every single item comes into its own. 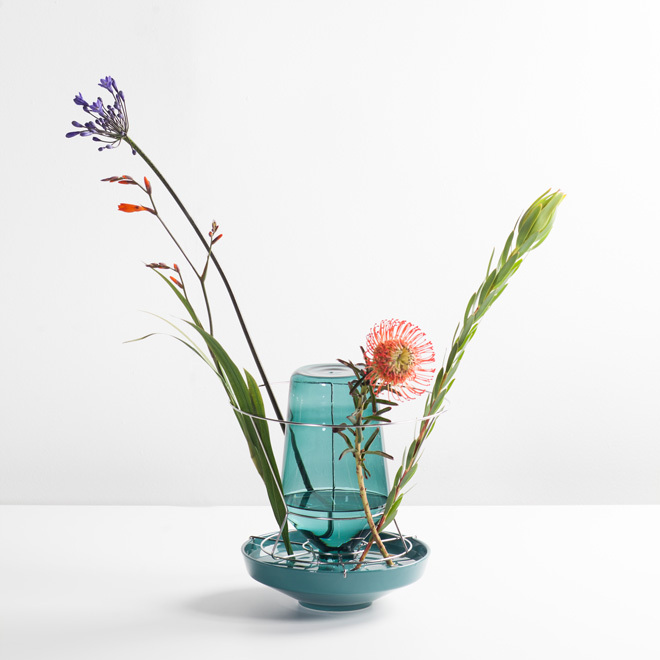 Eucalyptus has garnered great popularity on Instagram, but owes at least some of its success to going solo in this new type of vase. 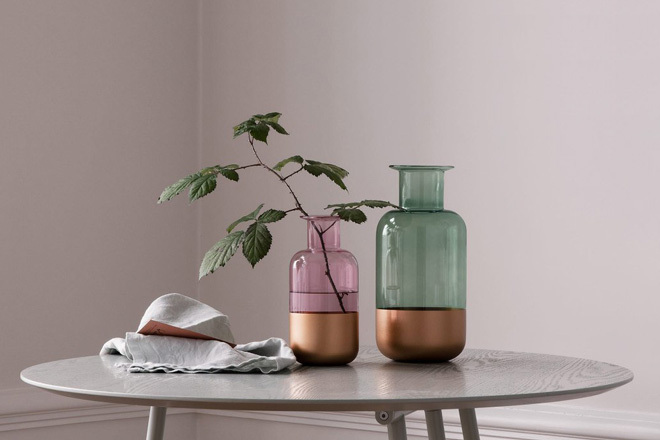 Popular pastel and powder shades go particularly well with green leaves, hence the colour trend in vases. 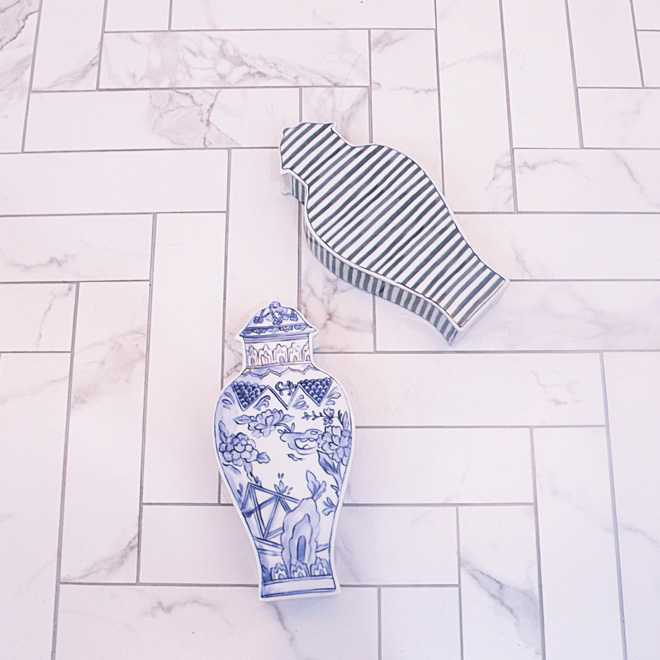 Look out for playful patterns and ornaments too. 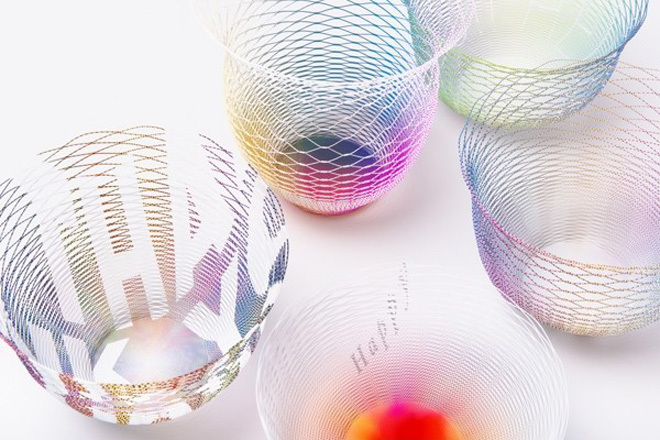 The transparency of glass vases lends them a light look, even in larger sizes and brighter colours. They add calm and effortless style to a space. As a material, glass offers an extremely wide range of possibilities for producers and designers to get creative. Traditional spherical and bottleneck vases are still in evidence, alongside shapes that only glassblowers could achieve and which vividly showcase their skills. Other on-trend designs include colour progressions, multicoloured glass and an antique look with air bubbles. When showing off single blooms or grasses, classic white porcelain vases are an option, as are abstract constructs or bold, playful designs. All provide a fitting backdrop to popular exotic flora. 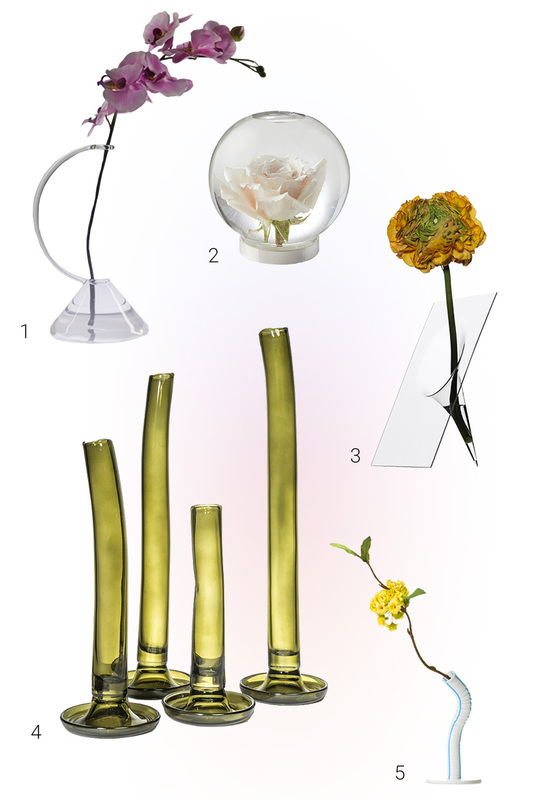 We’re really excited about designs which contrast with nature, setting flowers in test-tube and techno shapes, or glass spheres in which roses bathe underwater as if in an aquarium. 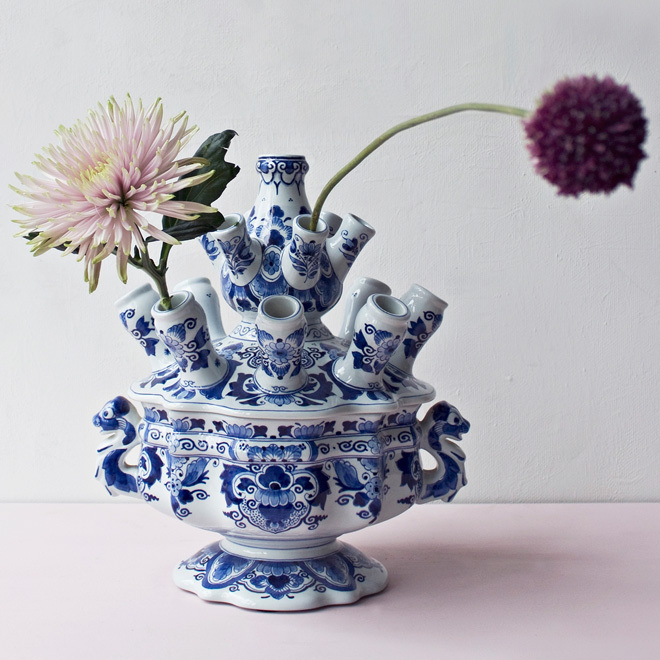 The high art of fine porcelain is giving new life to old vases. 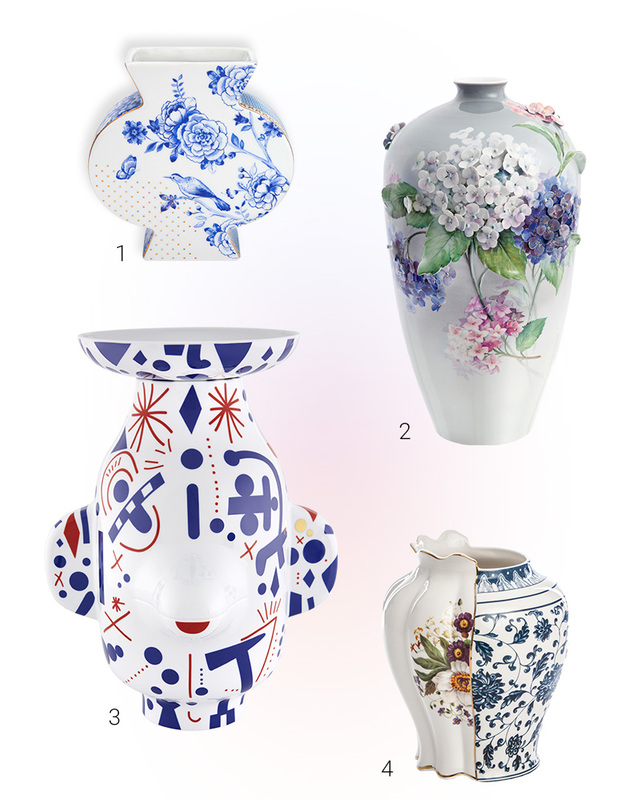 Traditional Chinese and Delft motifs get a modern twist or avant-garde shape for an ultra-cool, contemporary revival. 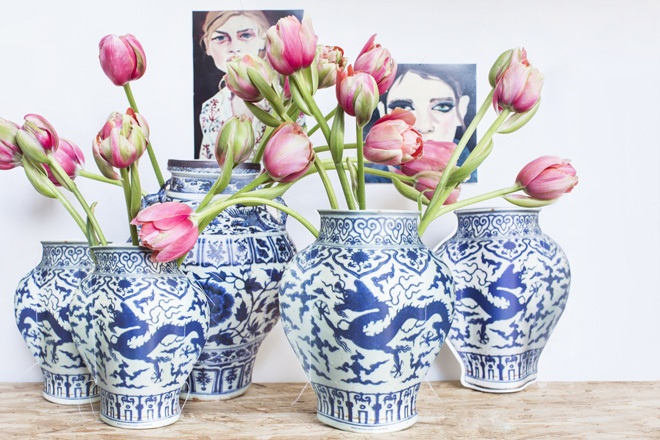 Even the conventional beauty of hand-painted flowers, classic blue patterns and pretty decoration gets a modern interpretation which blows away the cobwebs. 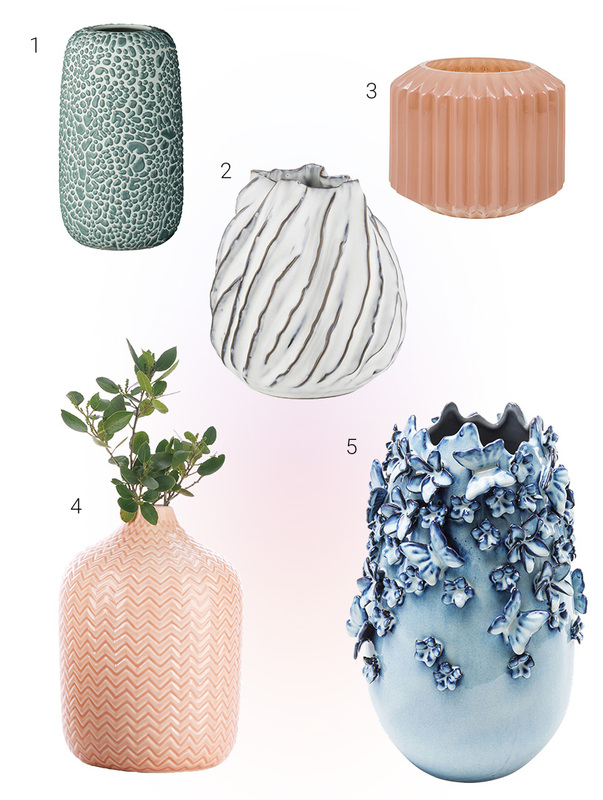 Whether it’s a retro feel or a 3D decoration, traditionally adorned vases are the new artistic centrepiece in today’s interior design. Vases made from paper? Strictly speaking these are vases clad in paper. 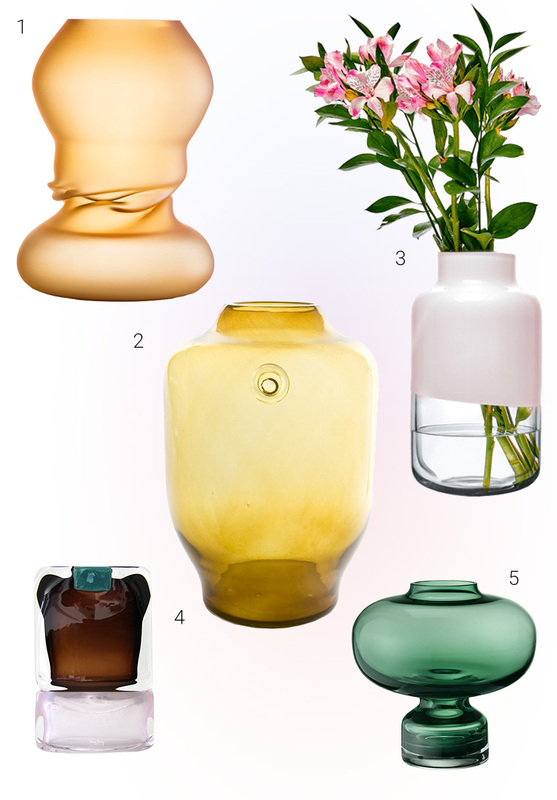 Seletti turns a cut-up plastic bottle into a Ming-inspired vase, and charity design label Tiny Miracles turns an office water glass into an interior design statement. 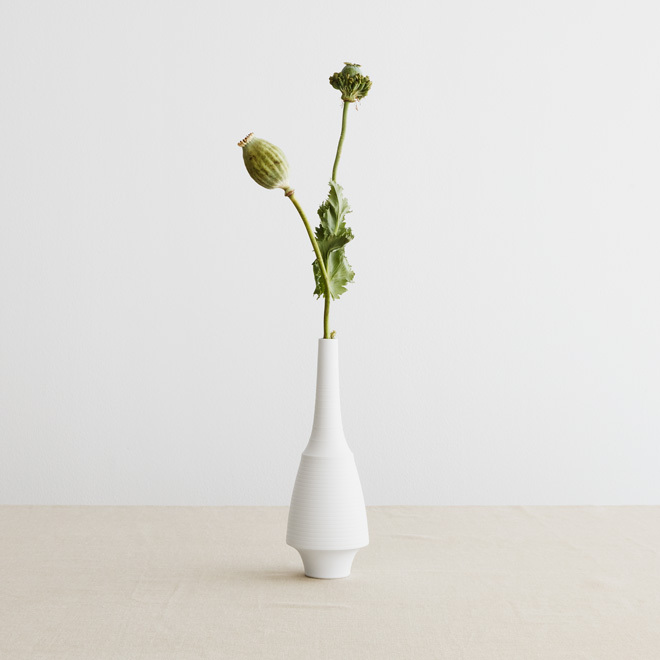 Once the flowers have faded, the sleeve-type vase folds flat for storage, like the paper from which it’s made. 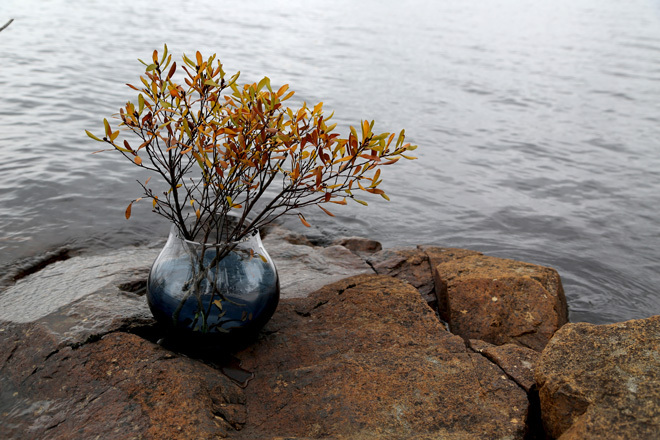 The Talking Tables teapot vase contains a small plastic container to be filled with water and flowers. The paper vases from Based on Roots are really special: They’re made from cardboard cutouts, drawn inside-out into a mesh and used to prettify simple glass vases. 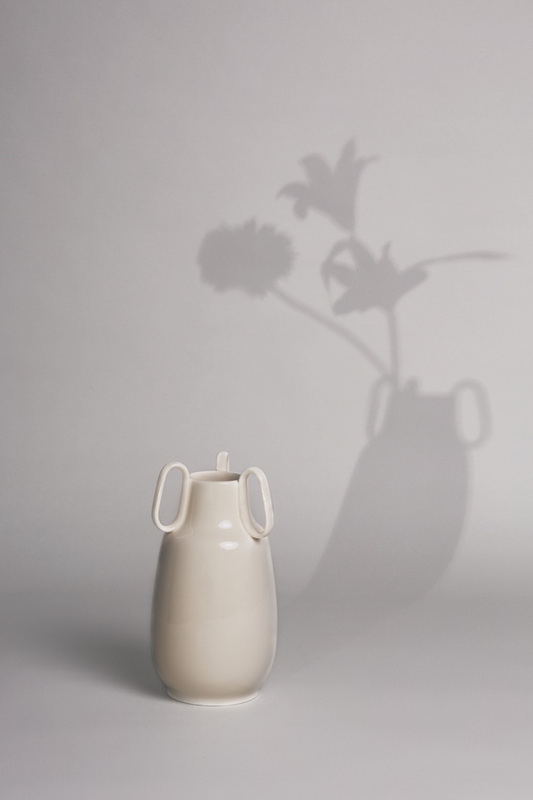 A vase by Mark’s Europe pays homage to traditional Japanese paper lampshades; it too is pulled into shape as a decorative sleeve for a glass vase.